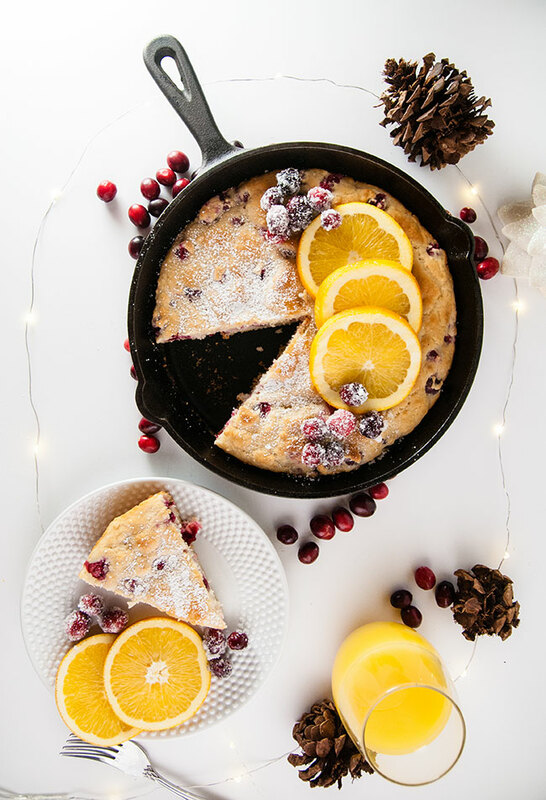 This cranberry orange baked pancake is the perfect way to simplify Christmas morning breakfast or holiday brunches without sacrificing flavor. 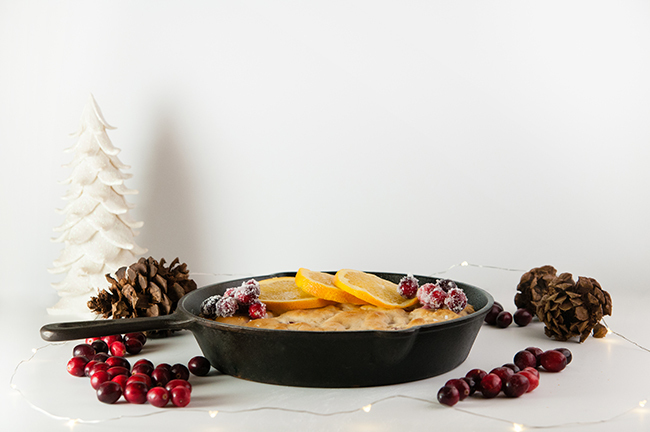 Rather than standing over the stove and flipping pancakes, this festive pancake gets poured into a cast iron pan or casserole dish and baked in the oven while you enjoy your guests. 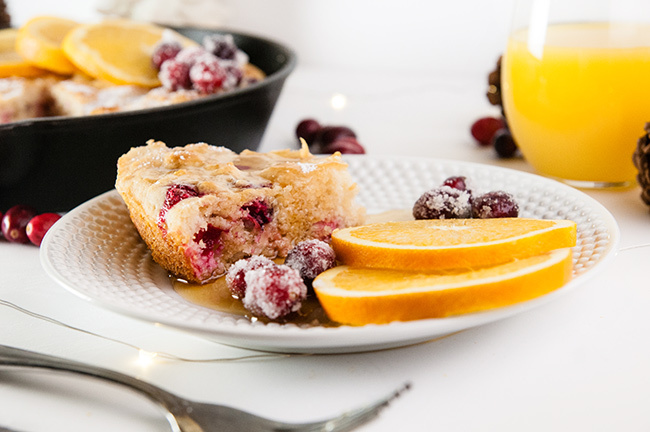 While it bakes, fragrant aromas of cranberries and orange zest will fill the air as a hint of the delicious Christmas brunch to come. Do you entertain on Christmas Day? We normally do. This year we may take a break because I’ll be 36 weeks pregnant with my twins (so does that make me 72 weeks pregnant then lol? Or at least I imagine I’ll feel like it!) but generally we have our families over for a big Christmas dinner, which means we spend a good part of the afternoon in the kitchen. So the last thing I want to do most Christmas mornings is be pulled away from the fun that Santa leaves my daughter under the tree to spend time making a huge, demanding Christmas breakfast. Nope. Not my style. 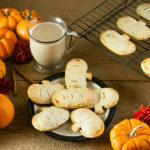 Give me something easy but that still feels festive and fun. Something I can mix up in less than 5 minutes before popping in the oven and forgetting about it until the timer goes off. 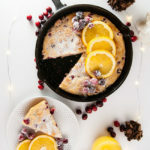 Something like this cranberry orange baked pancake. I love baked pancakes. 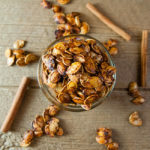 They are my ultimate breakfast hack. You still get pancake flavor but they are so much more low maintenance. Plus, let’s talk texture here. It’s like eating a very fluffy pancake because it puffs up more in the oven than it does on the stove top. And added perk? You don’t have to be good at pancake flipping. Which is a lifesaver for me because I’m awful at it. 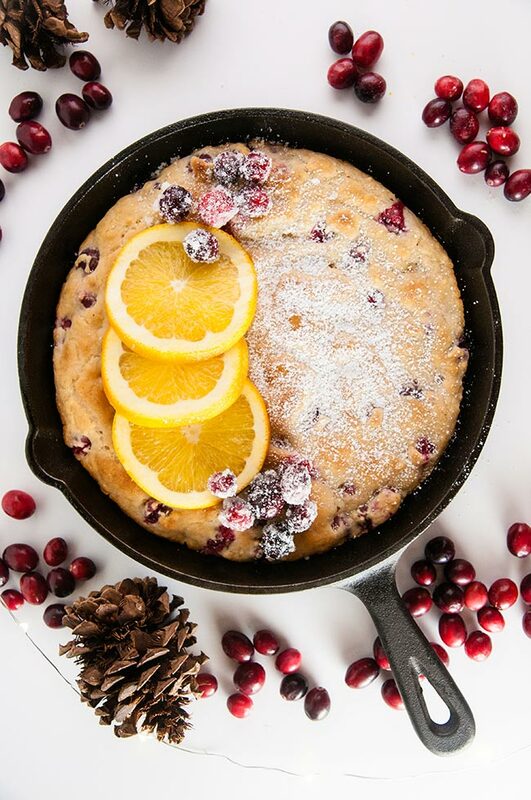 I do this cranberry orange baked pancake with pancake mix, but I don’t follow the directions on the box. For example, most box mixes have you just add water and that’s it. I make you get a little extra for this. But just a little. Instead of water, I like to use buttermilk. Why? Because buttermilk gives pancakes that extra fluffy texture I was talking about since the acid interacts with the baking soda in the mix and I also think it adds a little more flavor. Aside from buttermilk, I stray from the box recipe with vanilla, cranberries, and orange zest. Think of those things like the decorations on a Christmas tree, which seems like an appropriate thought when making Christmas breakfast. Choose buttermilk over water or milk to make your batter. Don’t over mix the batter. In other words, be ok with some lumps. Over mixing pancake batter will over develop the gluten in the batter, leaving you with gummy, chewy pancakes. This means you mix until the white streaks from the pancake batter are gone and that’s it. For extra sweetness, you can roll damp but not wet cranberries in sugar prior to adding them. Just let them dry for about half an hour or so first to let the sugar harden a bit. Preheat the oven to 350. 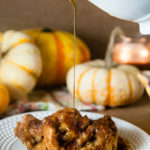 Grease an 8×8 casserole dish or an 8 inch cast iron skillet with butter. Set aside. In a large bowl, add pancake mix, buttermilk, vanilla, and orange zest. Stir until just combined, then fold in the cranberries. 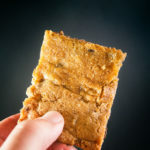 Pour the mix into the prepared dish and bake for 30-35 minutes or until the top is golden brown. Enjoy! 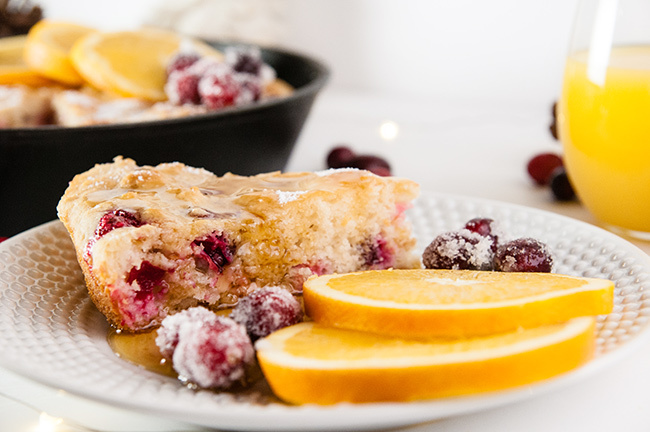 Shop this cranberry orange baked pancake recipe!